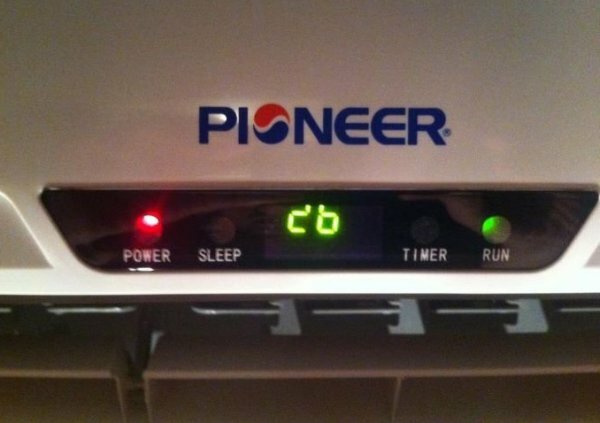 Michael Bissell - Cool off with a Pepsi... Air conditioner? I'm not sure what the advantage is to stealing Pepsi's old logo, color and font, but there's no way it could be an accident. Not that they're likely to get in too much trouble for it -- Pepsi's trademark probably doesn't extend to air conditioners, although it still seems to me that stealing the iconic logo might not be that easy to defend lifting. 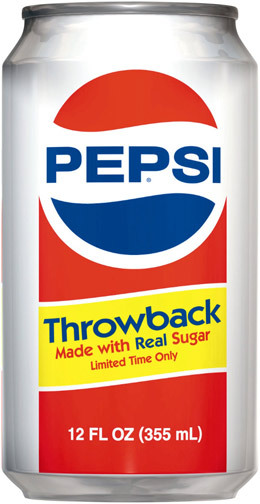 I was going to say something about how the font and logo were abandoned in the early 90s, but then I stumbled across the new old Pepsi -- "Pepsi Throwback." Directly lifting the packaging of Pepsi from the 70s and 80s, they've brought us a soft drink with "real sugar" in response to the bad rep that high fructose corn syrup is getting. You get some nostalgia points, get to play word games with "throwback" for retro and tossing one back and you get to pretend you're selling a healthier alternative to your main product. Not that it really matters whether you drink "real" sugar or sugar that came from corn. They both have 150 calories, and I'll lay money you can't tell the difference in a blind taste test. Yes, "real" sugar theoretically doesn't take as much petroleum to process but that's an argument for the food frightening books and movies.